A: OK! No, you’re not missing anything, it is truly a bit confusing and it took me a while when you teach the same thing every year, like you go through the CPT manual several times every year, and then they go and change it majorly. 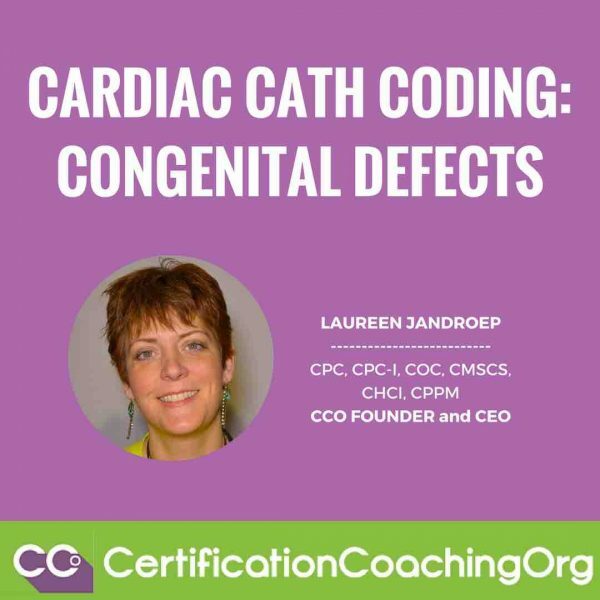 It makes it so hard because you want to go into how you’ve always taught it, you have to go, “Wait a minute, let me put the brakes on and re-think that.” So, cardiac caths used to always be reported in pieces, and if you think about what the cardiac cath is, it’s a diagnostic test where they’re threading the catheter through the vessels near the heart to inject dye in order to take a picture, to get a good image to see what is going on so that they can diagnose the problem. So, those three pieces: the catheter manipulation, the injection of the dye, and the imaging were all reported separately and your typical run-of- the-mill heart cath had five codes. Then they decided to just bundle it all together. And the exception was – for the congenital caths, those were still exploded out into their component parts. So, for the most part, the three pieces are now bundled into single codes, the catheterization, the dye, and the imaging where the dye was injected, those were all together in one code. There are exceptions and that is the congenital heart caths. For those of you that code the injecting and imaging separately; so those are done separately, if you turn to that section, in the Medicine section of CPT. But the questionnaires specifically asked about 93567, that’s an injection procedure during a cardiac catheterization including imaging supervision, interpretation and report. If you look at the parenthetical note below it – and I always say this when I’m teaching for the Blitz Review –parenthetical notes are your friend. Like, sometimes, parentheses in real life are like they’re not even worthy of being in the sentence without a parenthesis. But, in CPT, it’s very valuable key information. Several of those are none congenital caths and that’s where the confusion starts to come in. But, notice what it is actually for: imaging of the aorta. It’s used for evaluating conditions such as aortic regurgitation, aortic aneurysm or dissection and congenital anomalies of the aorta – in other words it’s all about the aorta – whereas, the cardiac caths codes are about the heart and the chambers. The imaging codes that are used for the heart cath itself are included. Imaging of the aorta would be extra and is ok to code separately with this code. That’s what it’s all about, so you’re not going crazy. CPC, COC, CPPM, CPC-I.,Sr. Instructor for CCO.us. Resides in southern New Jersey with her husband of over 20 years Anthony and four children. They are active parents and spend most of their time these days just being parents which they love. 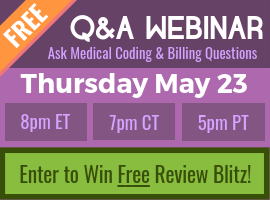 So You Failed the Medical Coding Exam?